ಇವರಿಗೆ ಗಣಿತವಿಜ್ಞಾನದ ಬಗ್ಗೆ ಹೆಚ್ಚಿನ ಆಸಕ್ತಿ ಇತ್ತು. ಭೂಕಂಪಗಳ ಕುರಿತು ಇವರು ಸಂಶೋಧನೆಯನ್ನು ಕೈಗೊಂಡರು. ಇವರು ೧೯೫೩ರಲ್ಲಿ ವಿಧಿವಶರಾದರು. ↑ "Comstock Prize in Physics". National Academy of Sciences. Retrieved February 13, 2011. ↑ "Millikan, son, aide get medals of merit". New York Times. March 22, 1949. Retrieved October 27, 2014. ↑ Bates, Charles C. & Fuller, John F. (July 1, 1986). "Chapter 2: The Rebirth of Military Meteorology". America's Weather Warriors, 1814–1985. Texas A&M University Press. pp. 17–20. ISBN 978-0890962404. 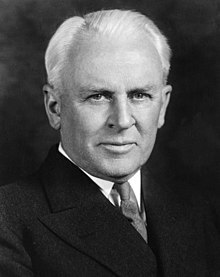 Illustrated Millikan biography at the Wayback Machine (archived May 16, 2006). Retrieved on March 30, 2007. Robert Millikan: Scientist. Part of a series on Notable American Unitarians.